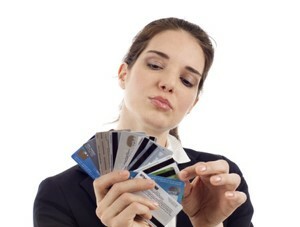 There are some considerations consumers make when they are thinking of joining a credit card facility. These considerations include but are not limited to the cost of maintaining the card which translates to the fixed monthly charges, interest charged on the credit facility utilised. Whether or not the card gives the holder access to other trade linked services. And how wide such a network is and just overall customer care standards of service provided by the issuing organization. Here we will have a look at the most popular credit cards in South Africa. Credit card consumers are looking for the convenience of use and look for a product. Which is mostly in line with their lifestyle and does not prove to be too much of a hindrance in their daily life routines and provide a valuable financial benefit against cost. The major credit cards that have been identified by the consumers to provide the quality they desire have been ranked based on the overall customer experience in using the facility. Virgin credit cards were ranked highest on overall customer experience, where consumers attested to the quality of service they received from all Virgin staff members. The monthly charges on the card rank lowest at R55 and give the lowest credit interest rates. The card pleasantly opens up the Virgin group of companies’ lifestyle products to the holder on a points reward system. The Gold Credit Card from African Bank was the second best card facility to use predominantly because of its free transaction fees. Low-interest rates and longer interest-free trade periods on credit and lack of a minimum salary requirement. The application process is easy, convenient and promises a higher possibility of acceptance than most cards. The Nedbank range of credit cards that is including the Classic, Gold and Greenback range were third most popular. And way above Nedbank’s banking peers. Consumers love this credit card because Nedbank allows them to transfer credit from one account to another within the Nedbank family. Consumers also love the bank’s incredible customer care service. The Go Banking Credit Card is for the fantastic discounts consumers get for their purchases at all Pick n Pay stores. While the Kulula Credit Card was for the discounts on all Kulula flights to account holders. Though these two credit card facilities offer fewer rewards. They have higher interest and monthly charges. So they are worthwhile by those who make frequent purchases from the two mentioned institutions. Some of the other best-known credit card facilities in South Africa include Blue Bean Standard Bank credit card facility. American Express licenced by Nedbank. South African Voyager Credit Card issued by South African Airlines. And Barclaycard which in operation for 40 years by ABSA.